Charleston’s Upper Peninsula neighborhood, Wagener Terrace, is one of the most sought-after areas. 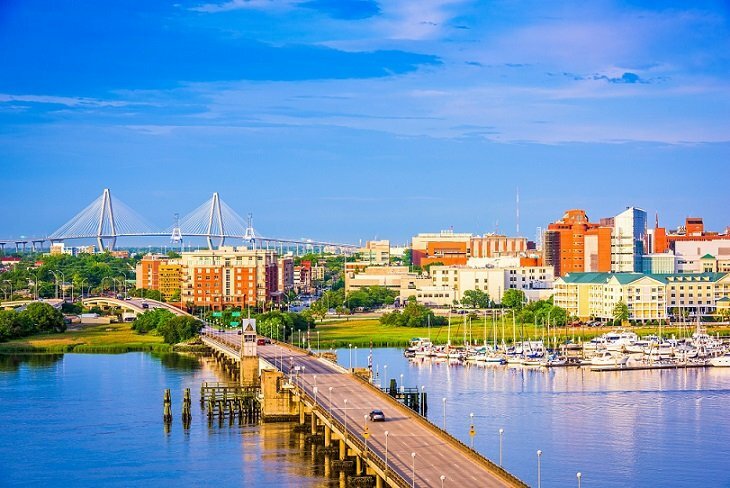 Young professionals, families, and retirees all flock to this hip Charleston community. Read on to learn more about Charleston’s Wagener Terrace neighborhood. The Wagener Terrace Neighborhood Association (WTNA) was established in the early 1970’s. It was the first neighborhood association in Charleston formed north of Calhoun Street. The neighborhood’s history began long before WTNA came along, though. In fact, historians can trace Wagener Terrace’s origins back to the eighteenth century! The name Wagener Terrace comes from Captain Frederick Wagener, a grocery merchant. In 1803, Wagener purchased a plantation (known today as Lowndes Grove) from William Lowndes. James Sottile, Jr. acquired the property in 1803 and developed the land into lots. Most houses were built during the 1920’s up until the 1960’s. One of the most notable builders was J.C. Long. The architectural variety of the houses is one of the most charming aspects of Wagener Terrace. Some of these cottages and bungalows have had little updates since being built. Others have been fully restored by real estate investors, like D Gilpin Properties. 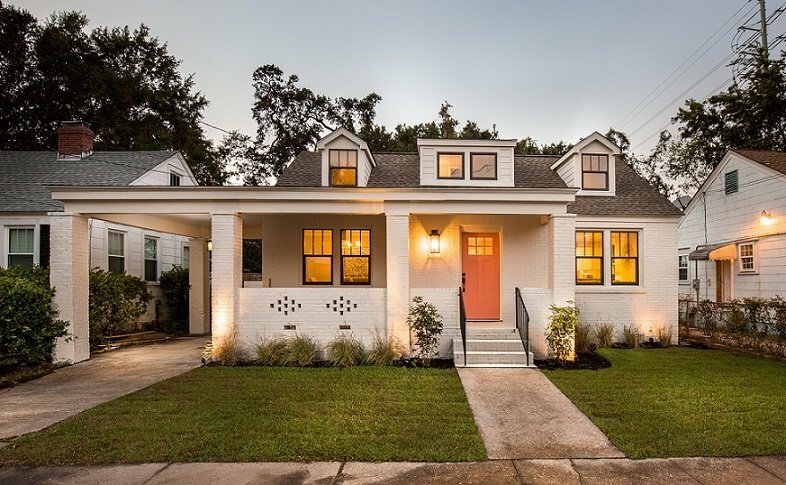 Here’s a home D Gilpin Properties recently renovated in the Wagener Terrace neighborhood. Wagener Terrace lies north of Crosstown on the upper part of Charleston’s peninsula. Many of Charleston’s most celebrated neighborhoods, like Wagener Terrace, are a short bike ride from the historic district. The community is nestled just north of Hampton Park. It is bounded by the Ashley River on the west and Rutledge Avenue on the east. Convenient highway access is a plus for those commuting to North Charleston or Mount Pleasant. Waterfront views on peninsular Charleston are not limited to The Battery. Most Wagener Terrace residents are just steps from breath-taking views of the Ashley River. Others are lucky enough to have homes with private docks! Hampton Park, the largest park on the Charleston peninsula, is just a short walk from Wagener Terrace. The park features a track that is popular among local runners and other athletes. New restaurants and cafes seem to pop up every day in the Upper Peninsula. Rutledge Cab Company is a favorite brunch spot among many residents. The recent addition of Workshop, a trendy food hall on King Street Extension, attracts Charlestonians from all over the city. Nearby neighborhoods on the Charleston Peninsula include Hampton Park Terrace, North Central, and the Westside. Each area has its own charm. Stay tuned for our next neighborhood spotlight! This Lowcountry neighborhood has it all! It has rich history, is close to downtown restaurants and has beautifule waterfront views. Wagener Terrace could be one of our favorite places in Charleston, SC! 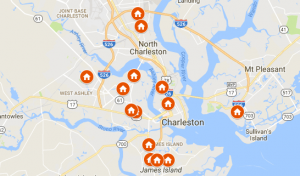 What Charleston neighborhoods are your top picks?